America is a nation divided. We are divided by income and race, military vs. non-military, tech vs. non-tech, boss vs. worker, old vs. young, urban vs. rural, Republican vs. Democrat, you name it. If it can be categorized as "us vs. them,” you can almost guarantee we’re sorting ourselves that way. In this November's election, we desperately need future-focused leaders with strong convictions and a commitment to living in reality; leaders focused on solving real problems with informed solutions. In addition to that, I am convinced that we must also vote for leaders who know how to stand firm, speak truth and do the right thing, but also know how to speak a common language that allows us to bridge divides as well. It’s with that in mind that I bring your attention to Texas’ 21st congressional district. 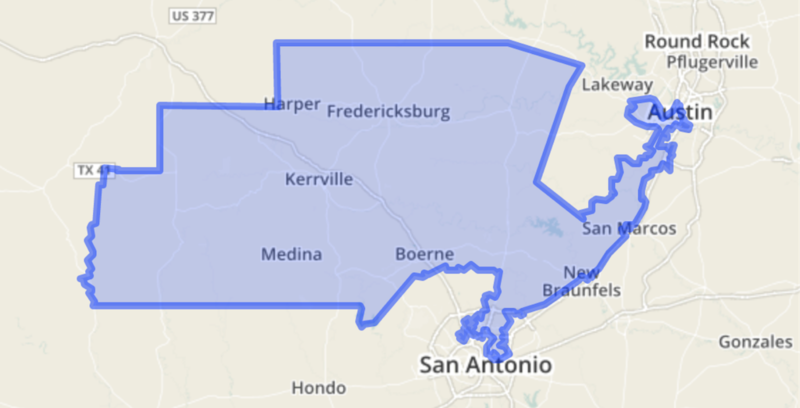 The district currently straddles southwest Austin and northwest San Antonio, then stretches west in a bulbous form to take in the rural counties of Blanco, Kerr, Bandera, Real, Kendall and Gillespie. TX-21 has been a reliably Republican district, but since Mr. Smith announced that he was going to retire in 2018, tides are turning, causing the Cook Political Report to re-designate it as “likely Republican,” instead of “solidly Republican.” A subtle but massively important distinction that has turned what would normally be an uncompetitive district into an existential test for the Democratic Party: Do we “moderate” to “accommodate” rural voters, or do we lean even more to the left and be even more outspoken? In a political environment as infuriating as the one we find ourselves in today, I understand the desire to want to simply shout progressive policies at people as some of the Democratic candidates in TX-21 are doing. But I think we’ve set ourselves up with a false choice if we look at it that simplistically. I’m not a career politician, but my background is in marketing, and my gut tells me that the best ideas backed by the candidate with the most base-broadening appeal can flip this district from red to blue. Which is why I’m supporting Joseph Kopser. In a world that's rapidly changing, Joseph understands the new economy because he’s created successful business models and new jobs in it as founder of RideScout (bought by Daimler AG). He understands the sacrifices that business owners make and the need to adopt new technologies, but also understands the need to take care of workers and put people first. He understands the threats we face because he’s fought them overseas firsthand with over 20 years in the U.S. Army. And he understands the need to make sure we only use our military might as a last resort precisely because of the sacrifice he and the other soldiers he served with made. He understands how captive we are to foreign oil, and why renewable energy isn’t just the right decision for the environment, it’s the right decision for Texas’ economy as well. He understands that healthcare needs to be affordable and accessible, and sensitive decisions should only be made between a patient and their doctor. He understands that if you want to fire an assault rifle you should join the Army like he did, that science is real, and women should be paid the same as men. In short, Joseph Kopser is a real progressive — he just so happens to know how to talk Texan too. Having spent time with Joseph one-on-one as he's mentored me through key business decisions, I’ve come to understand that he has a process for making those decisions. I’ve seen him in groups where new information is presented and watch as he holds on to his values and position but adapts his approach to be accommodating and respectful to people in the room who might disagree with him. I’ve seen how he deals with criticism, and I’ve seen him humble himself when he needs to. I’ve seen him very quickly create an office environment with his campaign staff where you can tell everybody loves to come to work (not easy to do), and I’ve seen him dote on his wife of 23 years and three daughters as a proud father and husband. I’ve also seen him work harder than anybody because he really cares, and he really believes in the promise of this district and the future of the United States of America. Joseph stepped out of a C-suite because he couldn’t sit on the sidelines — he wants to serve the people of Texas’ 21st District, and I think we should give him the chance to do it. 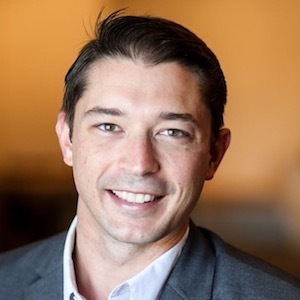 So let’s join him and bridge divides with progressive values, not deepen them: If you’re a constituent in TX-21, I’d encourage you to get out and vote for Joseph Kopser in the Democratic runoff election in May.